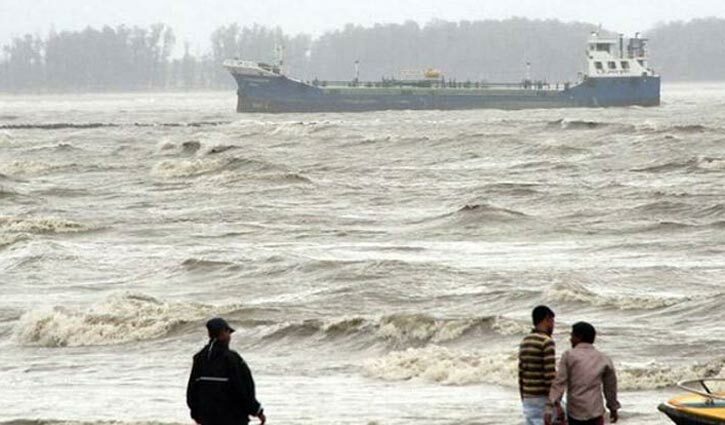 Maritime ports of Chattogram, Cox's Bazar, Mongla and Payra have been advised to hoist cautionary signal no one as a depression was formed over the Southwest Bay and adjoining areas. The depression over Southwest Bay and adjoining area (lat. 9.2 degree N, long, 85.2 degree E) and was centered at 9am on Saturday about 1620 km southwest of Chattogram port, 1555 km Southwest of Cox's Bazar port, 1550 km South-Southwest of Mongla port and 1530 km south-southwest of Payra port, said a Met office bulletin issued on Saturday. It is likely to intensify further and move in a Northwesterly direction. Maximum sustained wind speed within 48 km of the depression centre is about 50 kph rising to 60kph in gusts/squalls. Sea will remain rough near the deep depression centre, it said. All fishing boats and trawlers over North Bay have been advised not to venture into the deep sea.